Home / MOVIE REVIEWS / Movie Review: "Point Break"
"Point Break" takes the audience in unimaginable death defying stunts and extreme sports action sequences. The film breaks the boundaries of what could be done in an action films. The talented actors and stunt men are highly commendable for an exhilarating performance. A movie that would take you to the edge of your seat, something that would leave amazement in your imagination. One of the strong points of the film is the unexpected stunts that happen one after the other.The action scenes felt raw and fresh. An adrenaline pumping treat that shatters impossibilities. Even the underground fight club scene sinks realism and pain into the audience. The cinematography of "Point Break" was fantastic. The camera angles and lighting were just impressive and awe-inspiring. The choice of location and setting for the action stunts were moving and it would remind you how powerful nature is. The forces of nature clashes against the limits of the mental and physical strength of humans. The film might have had a weak plot, that could've been fully developed and merged with the impressive action stunts. Nonetheless, over-all the film is good and fun to watch in the big screen. Filmed on four continents, North America, Europe, South America and Asia, "Point Break" presents extraordinary feats performed by the world's top extreme sports athletes, and involves some of the most daring exploits ever committed to film. Extreme sports featured include snowboarding, wingsuit flying, free rock climbing, high-speed motocross, and surfing 70-foot waves. A young FBI agent infiltrates an extraordinary team of extreme sports athletes he suspects of masterminding a string of unprecedented, sophisticated corporate heists. Deep undercover, and with his life in danger, he strives to prove these athletes are the architects of the mind-boggling crimes that are devastating the world's financial markets. “Point Break” breaks all barriers seen in traditional action films with daring, death-defying stunts and a no-limits attitude from the actors and the whole production crew. Early trade screenings of “Point Break” introduced the audience to nail-biting scenes employing the world of surfing, motocross, sky-diving and wingsuit-flying across eleven countries. 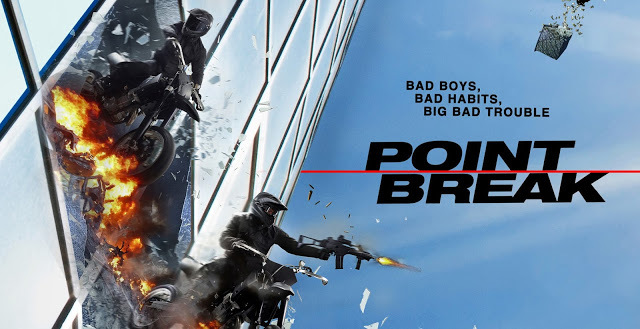 Inspired by the classic 1991 hit movie of the same title then starring Patrick Swayze and Keanu Reeves, 2015’s “Point Break” pushes the boundaries in the action genre with its most daring athleticism ever done in a motion picture. 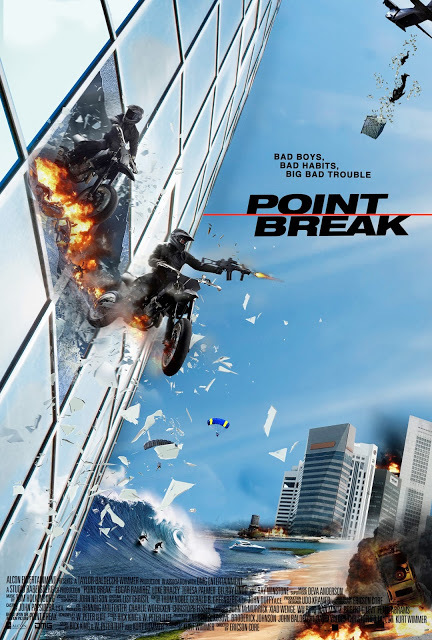 Traversing land, water and air, “Point Break” brings the action beyond limits following a young FBI agent, Johnny Utah played by Luke Bracey, a deep undercover who follows a group of elite athletes suspected of carrying out crimes in the most unusual ways, unconcerned of those who gets killed in the process. 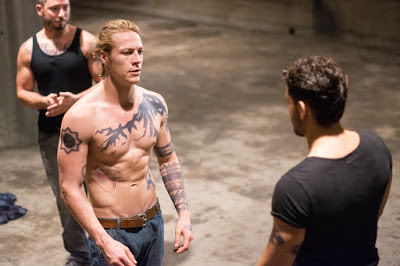 “Point Break” also stars Édgar Ramírez (“Zero Dark Thirty,” “The Bourne Ultimatum,” “Carlos the Jackal”) as Bodhi, along with Teresa Palmer (“Warm Bodies”), Delroy Lindo (“Sahara,” “Gone in Sixty Seconds”), and Ray Winstone (“Noah,” “The Departed”). Opening in Philippine cinemas three (3) weeks ahead of its US release date, “Point Break” opens December 3 (Thursday) in theatres nationwide from Pioneer Films.